First of all this is the most powerful Mod from Steam Crave. Because is powered by four 18650 batteries it can reach a power of 300w. Furthermore, the Titan PWM is perfectly compatible with huge tanks from diameter 30mm to 41mm. Another important factor is that the titan mod has multiple protections. As a result, it will bring a safe vaping experience to you. Finally buy buying this mod you will bring your vaping experience to another level. Steam Crave is the US and EU registered brand name for an outstanding range of vaporizing products designed and manufactured in China. 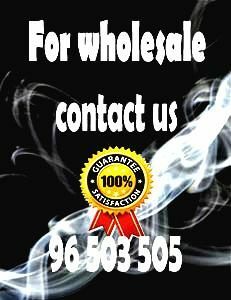 We have evolved from a manufacturer of e-cigarette products, formally known as Beautiful Industry Group Co.Ltd., which had four years’ experience in personal vaporizer design.